Travel by train with your pet. What must be considered? If you have planned a trip by train with your pet, keep in mind that you must comply with a series of regulations and, above all, take all precautions to avoid excessive stress to the animal. We tell you details to move by this means within Spain and the rest of Europe. If you are not one of those lucky ones who have their own vehicle, Moving with pets can be a complicated issue. In recent years, but with limitations, public transport began to offer this service. In the case of Renfe (Spanish National Railways Network), each rail route has specific rules and different rates in relation to pets. For this reason, ideally, you will be well informed before facing a trip with your furry or feathered friend. 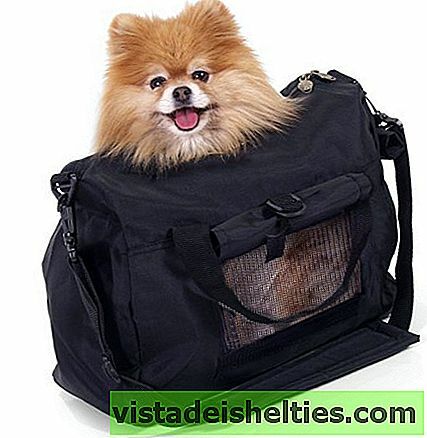 It is allowed to travel with dogs, cats, ferrets and birds, as long as they are not of corral. Only one animal per traveler is allowed and must not exceed 10 kilograms in weight. 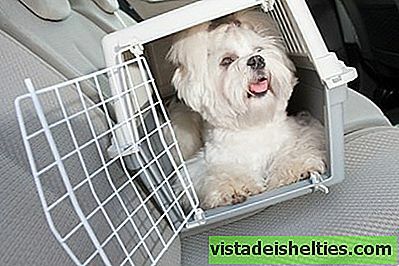 The pet must travel inside a cage, carrier, or other type of closed container. The dimensions must not exceed 60 x 35 x 35 centimeters. In addition, they must have some device to contain and remove the waste. The animal must have the required documentation in the current legislation and comply with the sanitary and health conditions stipulated. The passenger is responsible for the inconvenience or damage that may cause your pet. The transport of animals can be carried out as long as the rest of the passage is not opposed. In this case, the options are extended with respect to the medium and long distance. It is not necessary to use a cage to transport pets. The animals must be strapped. Dogs have to travel with a muzzle. But nevertheless, there may be limitations of schedules and seasons. In short distances there is no fee to travel with pets. For the rest of the classes, 25% of a ticket must be paid in Economy class. In middle distance services, 25% of the General Rate must also be paid. Further, the guide dogs travel free on all trains. There is no unified regulation in the European Union to travel by train with pets. If you plan to leave the country, it will be convenient for you then consult with the railway companies that operate in the places you plan to visit. Also, keep in mind that your pet must carry the identification chip and the animal passport up to date. Consider that this type of experience can be traumatic for animals. Check with your veterinarian what aspects you should take into account when facing a train trip with your pet. The vaccination card must be up to date. You have to bring food, water and toys to entertain without disturbing other travelers. The swaying of the train can cause vomiting and dizziness in some animals. Ask the veterinarian how you can avoid them. You have to accustom your pet to be inside the cage before uploading it to the train. It is convenient that you first perform a short test trip, before undertaking a medium or long distance. To avoid uncomfortable situations, it is ideal that the animal has not eaten before boarding the train and has done their needs before. In addition, if the animal is old, very puppy, is pregnant, recovers from an operation or its health is delicate, It is not advisable to travel, especially if the journey is long. Consider in these cases leave it to the care of a family member or friend, or in a pet care.